Dr. Ramsey Castaneda (DMA) is a performer, educator, researcher and composer based in Los Angeles, California. Ramsey has performed in a variety of venues from Carnegie Hall, with Paquito D’Rivera, to LA recording studios for television shows, music videos, commercials, movies, and most recently Michael Bublé's 2018 album, Love. 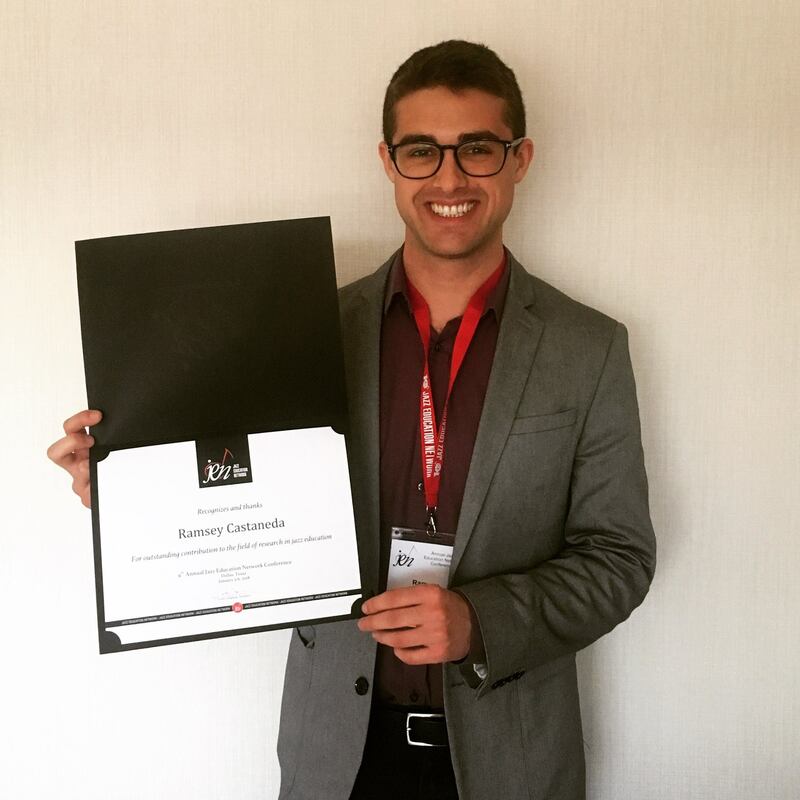 He has presented research at the 2018 and 2019 Jazz Education Network Conferences, at the 2015 and 2016 California All-State Music Education Conferences, and most recently at the inaugural 2019 Documenting Jazz Conference in Dublin, Ireland. His research interests include jazz representation in popular culture and philosophy of music. Recent papers covering the indexical, symbolic, and iconic representations of jazz significations in mass mediated narratives. 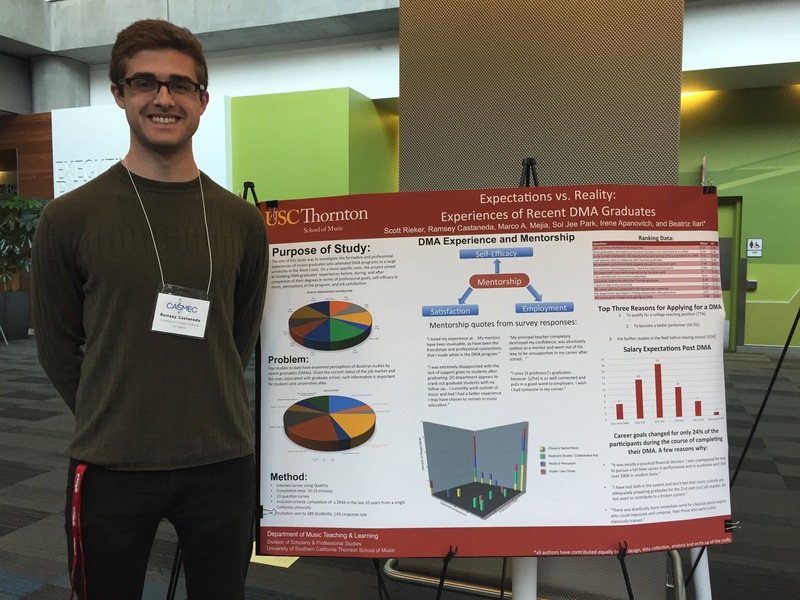 Ramsey completed his DMA at the University of Southern California in May 2018, with fields in jazz studies, music teaching and learning, collegiate teaching, and web applications and development (view his music theory resource website at music-theory-practice.com). Ramsey received his Bachelor of Music degree from the University of North Texas with a minor in music theory, and a Master of Music degree from the Bob Cole Conservatory of Music at CSU-Long Beach. At USC Ramsey was a Gluck Fellow, Teaching Mentor, director of the Los Angeles Youth Jazz Ensemble, and a teaching assistant in the Music Industry Program, the Popular Music programs, and for Jazz History and The Music of Black Americans. Ramsey has additionally taught jazz combos at the Bob Cole Conservatory at California State University, Long Beach, and private lessons at USC. Ramsey has been on faculty at the Los Angeles College of Music since 2014 where his classes include private saxophone lessons, big band, wind ensemble, chamber groups, advanced theory/aural skills, and pedagogy. Winter and Spring 2018: New! May: I graduated from USC with my DMA in May 2018. At the USC Thornton Convocation I was awarded the Pi Kappa Lambda Award (GPA), Jazz Studies Award at the Doctorate level, and also a Community Engagement Award. Below is a photo in my graduation gown and a photo from convocation. Spring and Summer 2017: New! 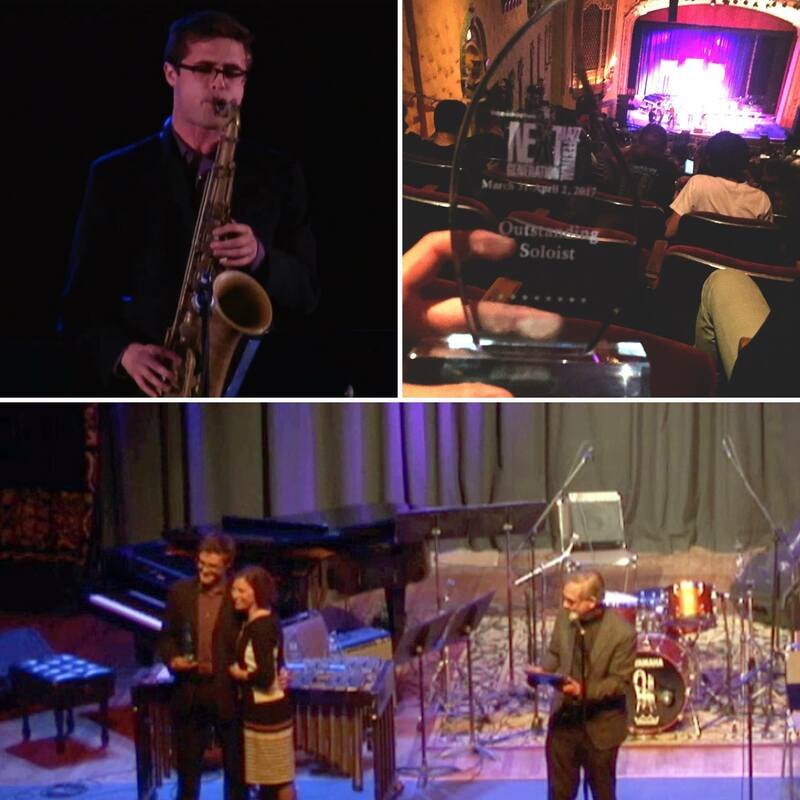 March: Honored to have received a Monterey Next Generation Jazz Festival award for outstanding soloist. July A: My proposal to present my work on the Chris Potter discography and the evolution of his playing at the annual Jazz Education Network's 2018 conference. The conference will be held in Dallas, from January 3-6 at the Hyatt Regency. I'll be presenting on Saturday, January 6 at 12:30 in Windsor-Cockrell. July B: I've updated my Coltrane Homes webpage, now with input from Dr. Lewis Porter and Yasuhiro Fujioka. View it here: http://www.ramseycastaneda.com/projects/coltrane-homes.html. June - August: Honored to have recorded on and to go on tour with Alex Hahn for his new CD, Emerging . You can purchase the CD at his website here: http://www.alexhahnmusic.com/store/. Fall 2016: New! I'm happy to annouce that I'm the new Teaching Assistant for the Music Industry and Music Technology programs as USC. These are some of the best progams in the country, and I'm happy to be on board. Last quarter at LACM I began directing the LACM Jazz Big Band II in addition to my private studio of eight undergraduate saxophone students. It's been a pleasure working with these young musicians. Spring 2016: Update! The music video for "Making Today a Perfect Day" has been released! I've just released my first game the: Musical Scale Degree Game! Try it out and let me know what you think! I also presented at the California All-State Music Education Conference in February, see a picture here. October 2015: I'm honored to be joining the faculty at the Los Angeles College of Music as the saxophone instructor for their new brass and woodwind department. September 2015: I just got back from a great recording session with Marco Marinangeli for a new version of Disney's "Making Today a Perfect Day." Can't wait for this one to come out! I recorded two tenor parts, a bari part, the "hook," and some solo lines. 1) I'll be the Teaching Assistant for Dr. McCurdy and his class, The Music of Black Americans. 2) Teaching private jazz lessons to some of the graduate, non-jazz major, saxophone students. 3) I'll be joining the marketing team for the USC Thornton Outreach program. August 2015: Had the pleasure of taking part in recording Annie Rosevear's new work for an upcoming Star Wars toy commerical. July 2015: I'll be teaching and helping out at the Los Angeles College of Music Reality Jazz Camp this month. The final concert will be Saturday, July 18, at LACM and will feature a host of incredible L.A. musicians. June 2015: I'll be touring with Delta Nove for a Northern California tour that will includes shows at Peteluma, Chico, Merced, and Lake Tahoe. Spring 2015: For six weeks this semester I'll be teaching jazz appreciation at two different local high schools and middle schools. December 2014: Thrilled to announce that I will be the new Jazz History Teaching Assistant at the University of Southern California this Spring. November 2014: I'm looking forward to starting two new jobs: 1) as an intern for the great saxophonist Bob Reynolds, and 2) as a writer for The Music Center. September 2014: I'm proud to announce that I've been accepted as a Gluck Fellow at USC, and will soon be performing outreach. 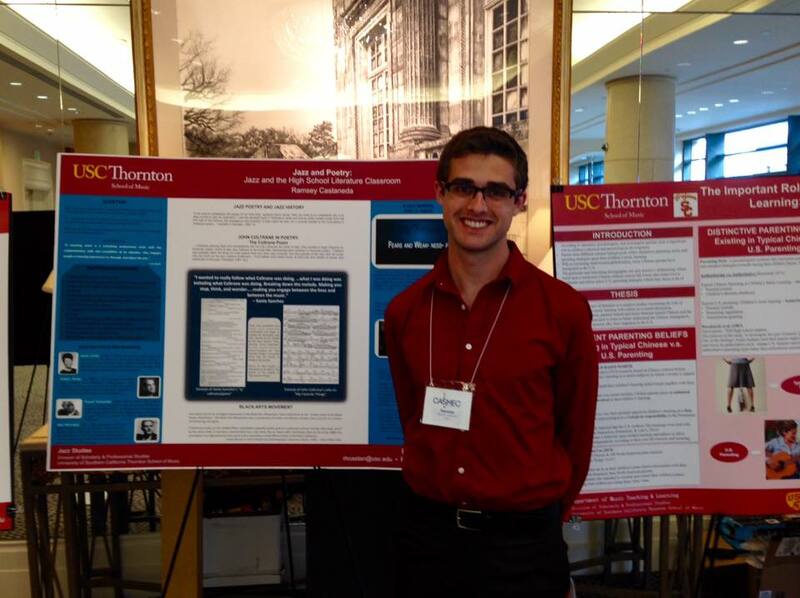 August 2014: Starting my Doctorate of Musical Arts degree at the University of Southern California this month! 1)Honored to have had the opportunity to perform in Carnegie Hall with Paquito D'Rivera on Friday, May 16! 2)I'm grateful to have received a Travel Grant from the CSULB for being invited to perform at NASA. March 2014: This month I perform by invitation at the University of Illinois Urbana-Champaign as one of 12 semi-finalists in the North American Saxophone Alliance.